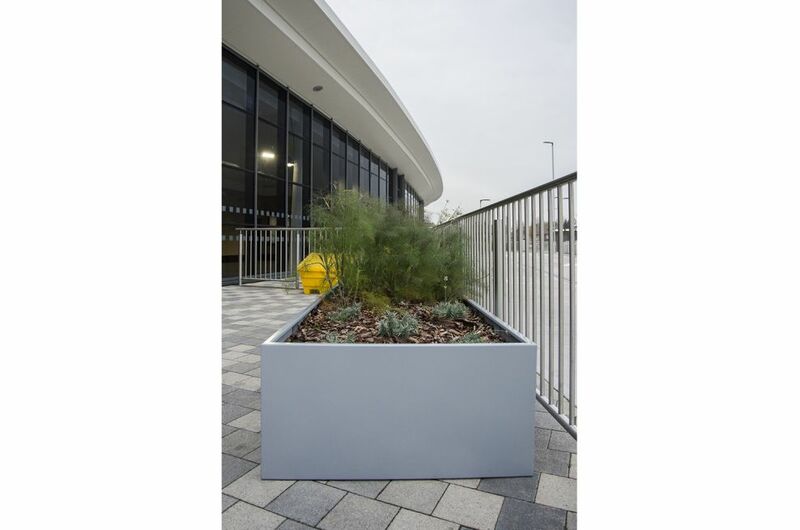 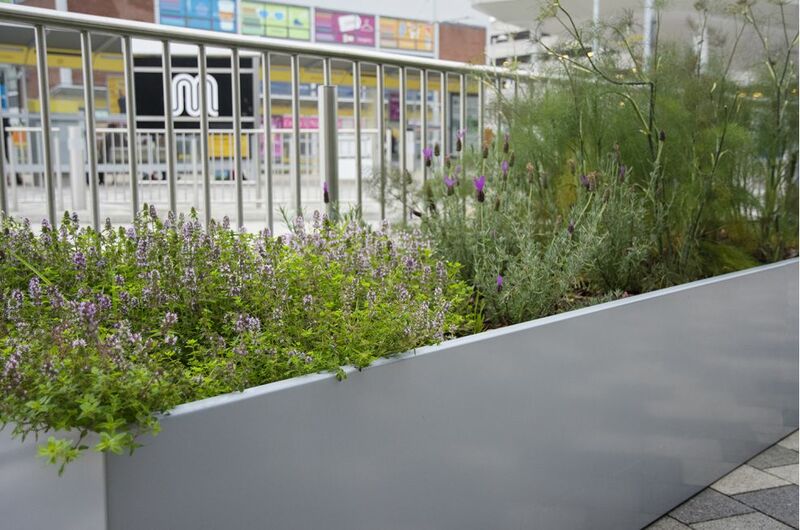 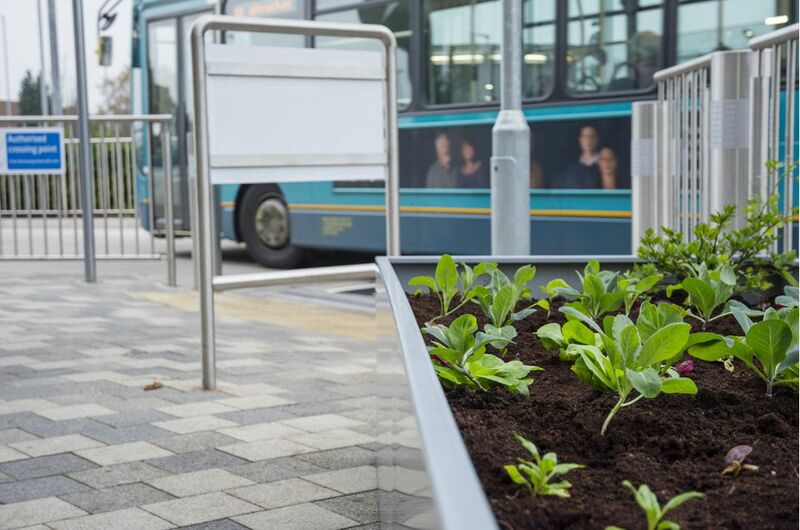 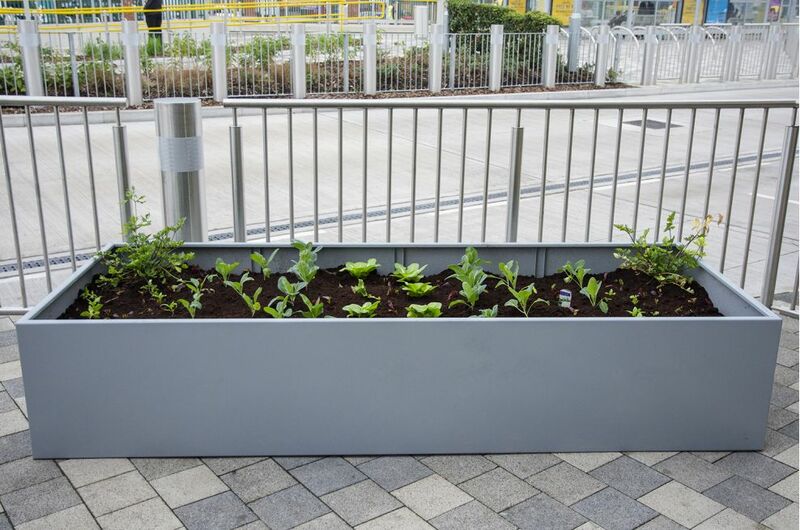 Bespoke powder coated steel planters were commissioned for the new £6 million Wythenshawe transport hub and interchange in Manchester. 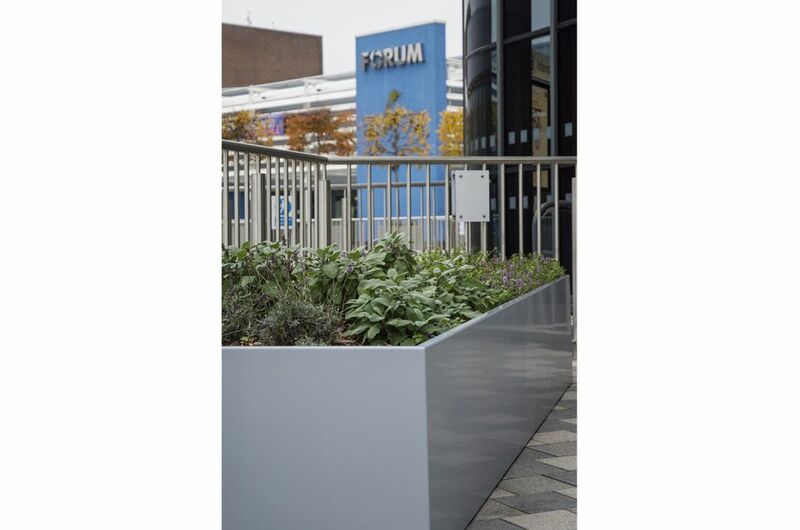 A range of rectangular, trough planters were commissioned, each of W 1000 x H 500mm, and of varying lengths from L 2550mm up to L 6150mm. 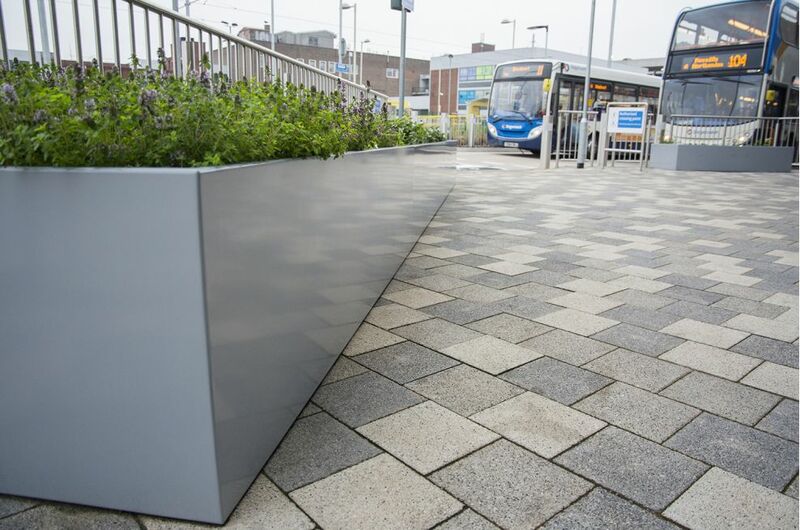 Each planter was supplied in sections for on-site assembly; and as per IOTA’s standard design, the connection between sections takes place below the soil level, so that the surface planting appears visually continuous. 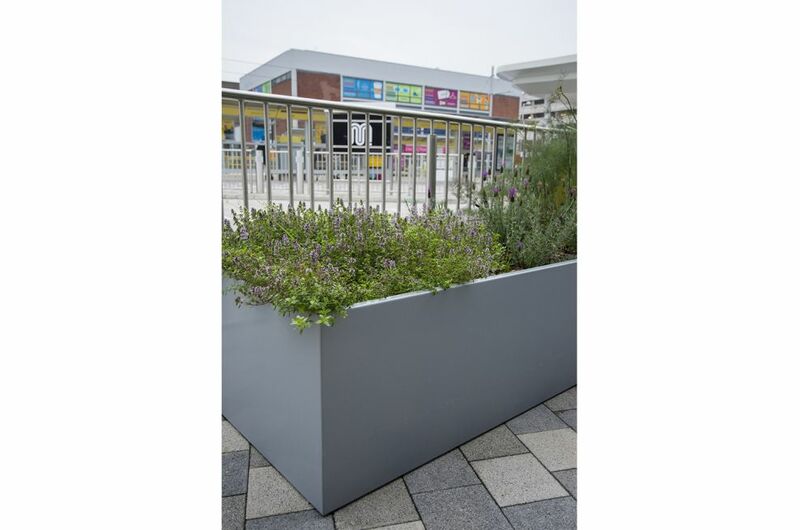 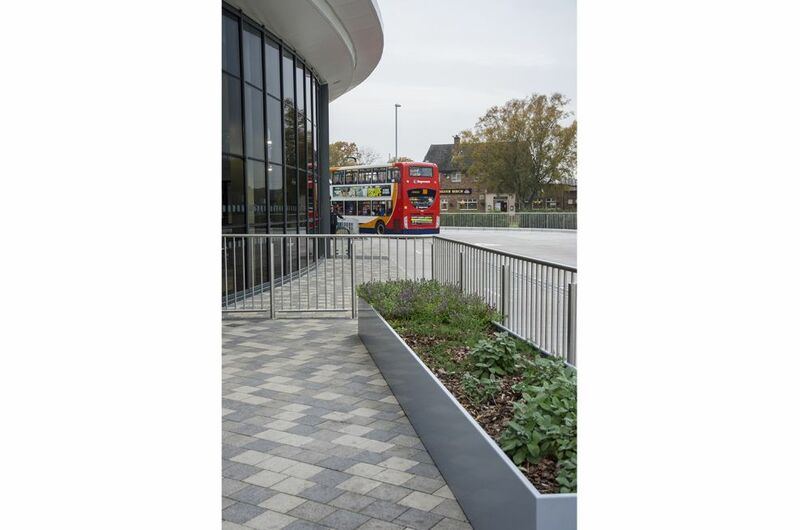 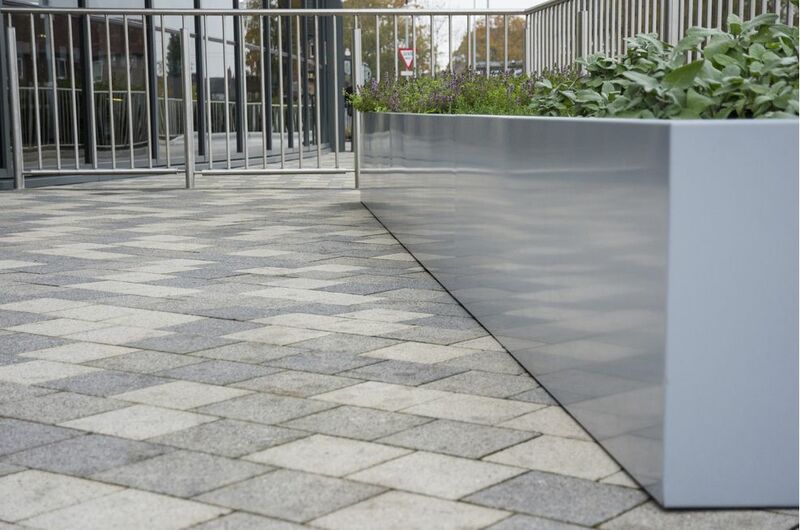 The planters were manufactured from robust, 3mm thick Zintec steel, powder coated to RAL 7040 [Window grey]. 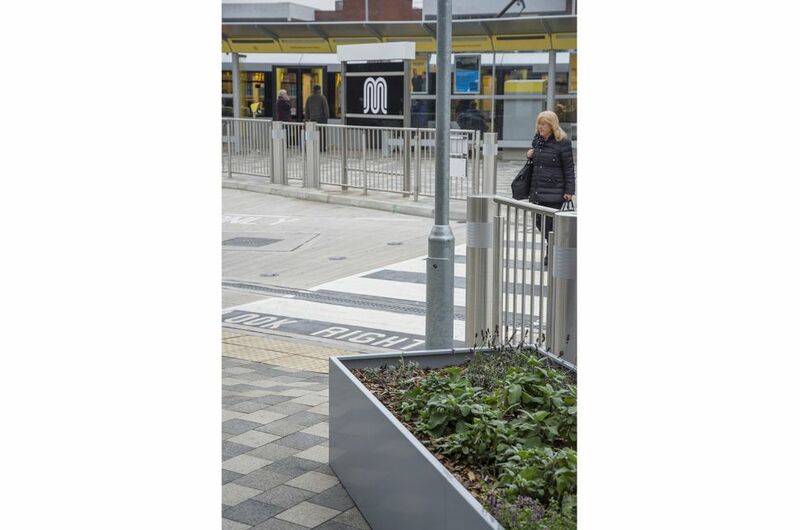 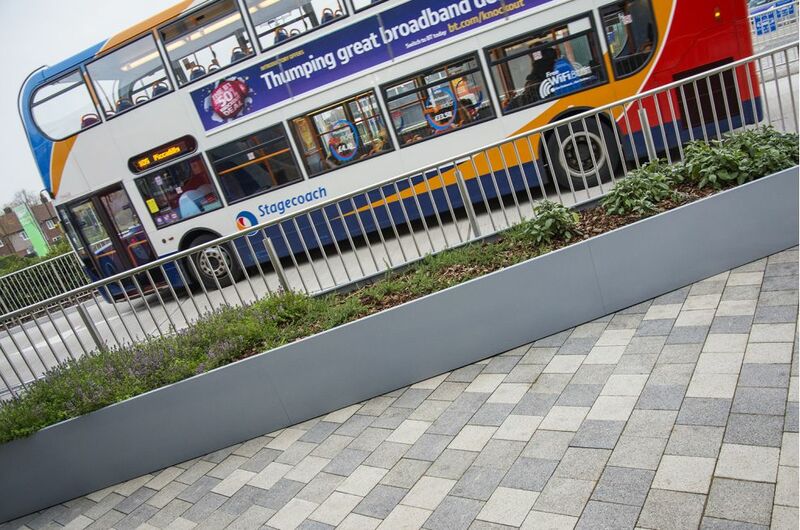 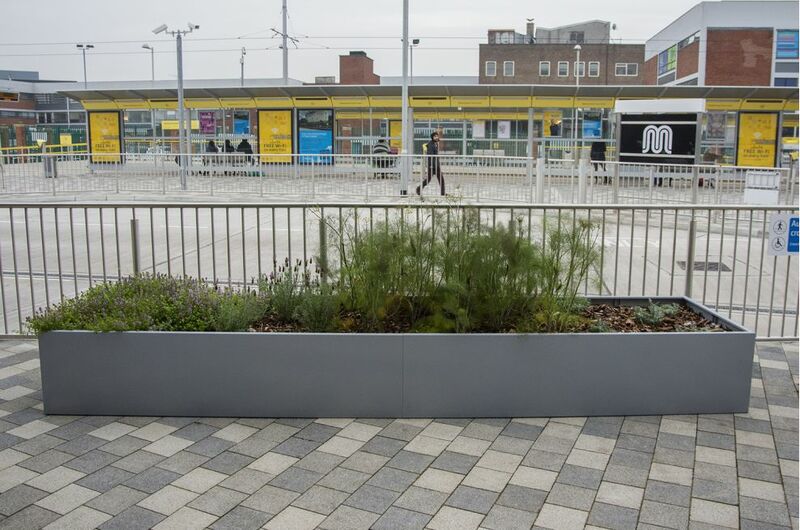 The planters were commissioned, installed and planted by Groundwork, on behalf of Transport for Greater Manchester. 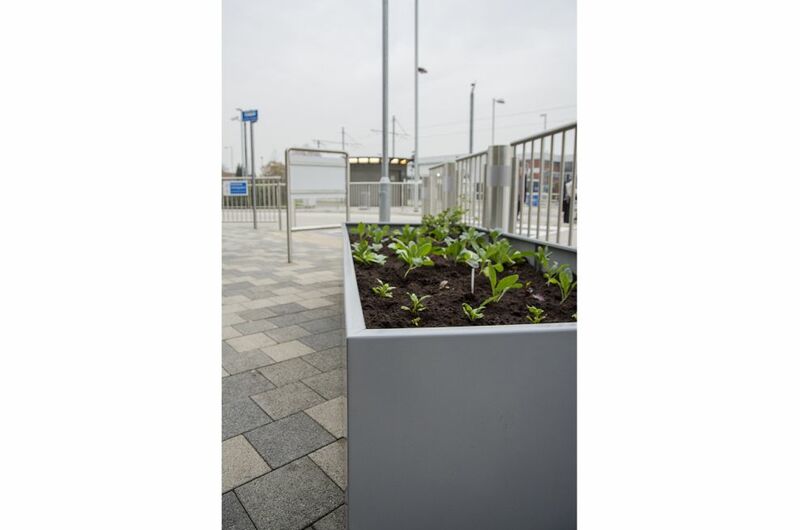 Groundwork is a federation of independent charities engaged in community-based landscaping initiatives, and dedicated to “changing places, changing lives - one green step at a time”. 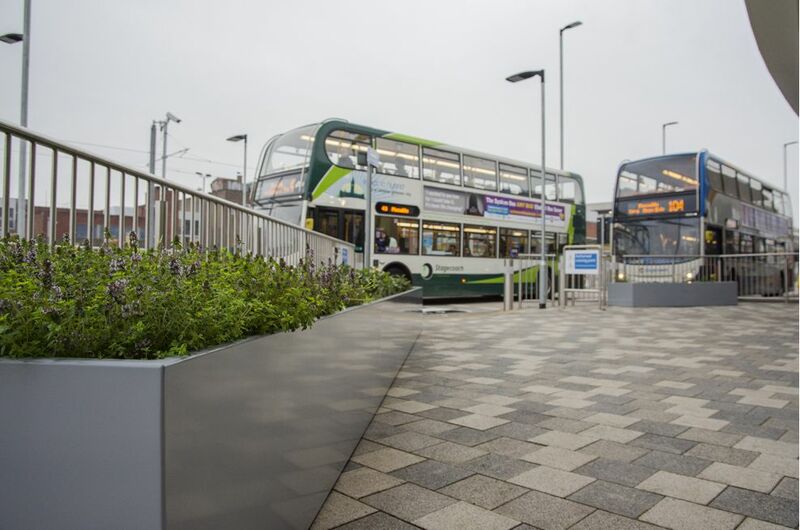 Opened in July 2015, Wythenshawe’s new £6 million transport interchange provides a modern, high quality gateway to the town centre, with improved safety and security for both bus and Metrolink passengers. 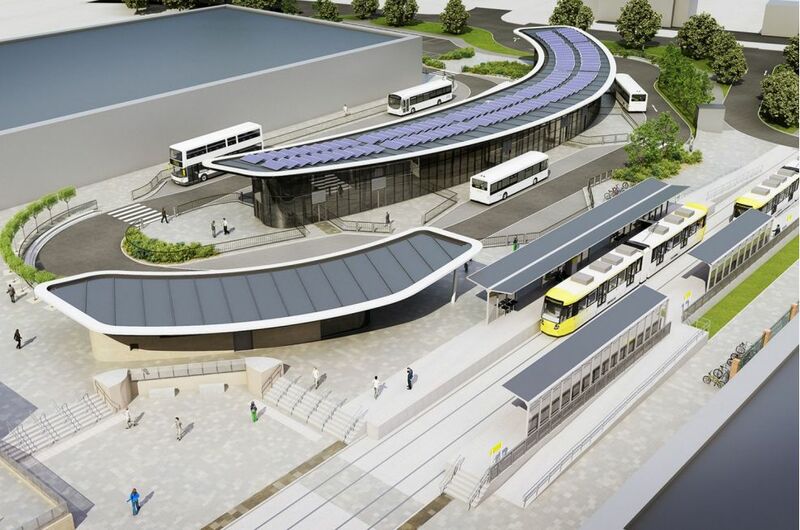 A TfGM Travelshop, cycle parking facilities, enhanced CCTV and passenger information systems have been created; and the environmentally-friendly interchange also boasts 72 solar panels, fitted to the roof, which provide around 10% of the building’s energy.